same day same game. Despite the fact that I am going to play travel guide for 51 girls today and all that with a twisted ankle! More about that new addition two my job spec tomorrow! But today let’s move to yummy food and tons of healthy indulgences. No okay not everything was healthy but it was Champions League Tuesday and HELLO this means Burger Time! But it’s up to you to judge. Speaking to the doctor’s receptionist on Monday I was told I should call again Tuesday morning in order to get an emergency appointment for that day. They didn’t tell me that this appointment would be at 5.30 pm. I could have easily gone to the office but instead I had a sweet day off to embrace the laziness. So I spend the morning on the couch with a cold pack on my ankle. I was happy that my ankle had improved overnight thanks to my great and lovely husband you took care of my leg. On Monday evening things didn’t look too great. My ankle wasn’t that swollen anymore but my left leg aka the thrombosis leg was thick and swollen. I ice-bathed the foot for the better part of the evening but I was still a little nervous. So after speaking to my sister-in-law who’s an internist I decided to take precaution and take heparin. I made a quick tour to the grocery store and stocked up on some essentials. And lunch! I craved some freshness and so mainly veggies and cheese made their way to my shopping cart. I hadn’t had bread in ages and I simply couldn’t resist the delicious smell of fresh-baked Essner Bread. 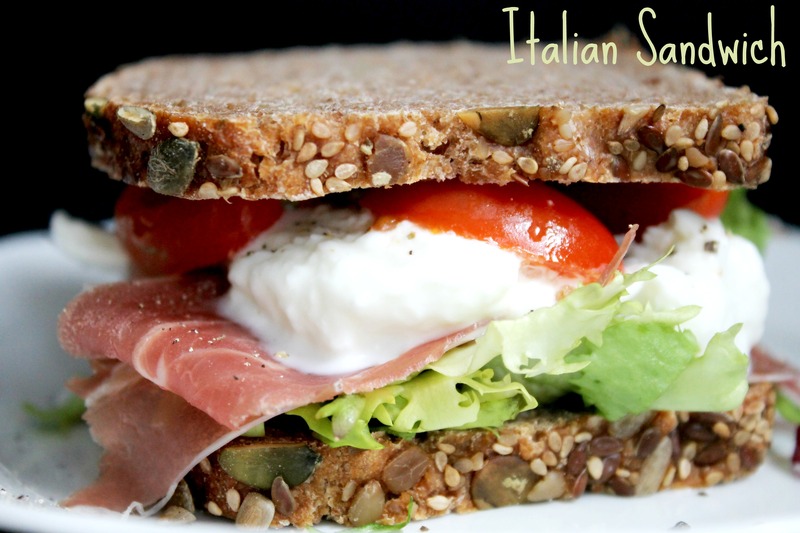 So lunch turned out to be an awesome prosciutto and buffalo mozzarella sandwich. Yum! As a snack I had one of those lovelies! A homemade clif bar! Peanut Delight! Recipe to come soon! Then I headed to my doctor’s appointment. Luckily it’s not a ligament rupture and with a week of cooling and resting I should be alright to run the half if I am pain free! As already mentioned it was CL Tuesday and we watched the match between FC Bayern München and Manchester United. 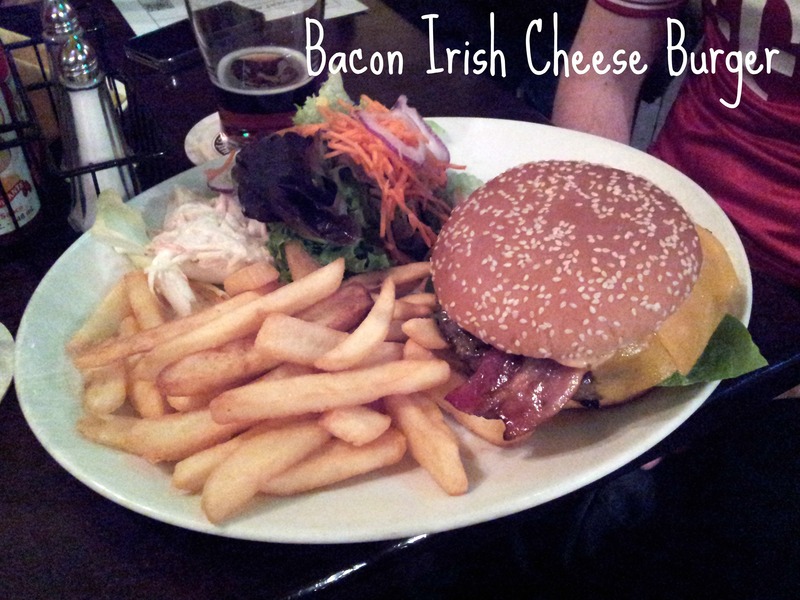 Of course we shared an amazing Bacon Irish Cheese Burger at our favorite Pub. Going there is at least half of the CL fun! This time next to our friend Manu one of his colleagues, an English guy who normally supports Liverpool was with us as well as my father-in-law. The game was a tad strange and ended with a tie. It took as very long to come home afterwards due to the ongoing construction work! Now I am going to face 80 teenage girls. I can’t tell you how little I want this day to happen! That burger and fries looks amazing! I’m so glad that your leg is getting better. Yay for having a fab husband to look after you! 🙂 Great looking eats too! So stoked to hear the legs are already improving!! Um…..let’s not talk about your dinner. OR your lunch. Wait, just all your meals. I actually cannot wait for your recipe because I tried a cliff bar once, and thought it was pretty dense for such a small bar! So you don’t have to wait longer my friend! Yes you’re right it is pretty dense! We often share one! So excited for the Clif bar recipe! Yours look even better than the original! Thank you so much 🙂 haha you made my day! Your eat’s look incredible – That sarnie and those cookies…Oh my…I have serious food envy. 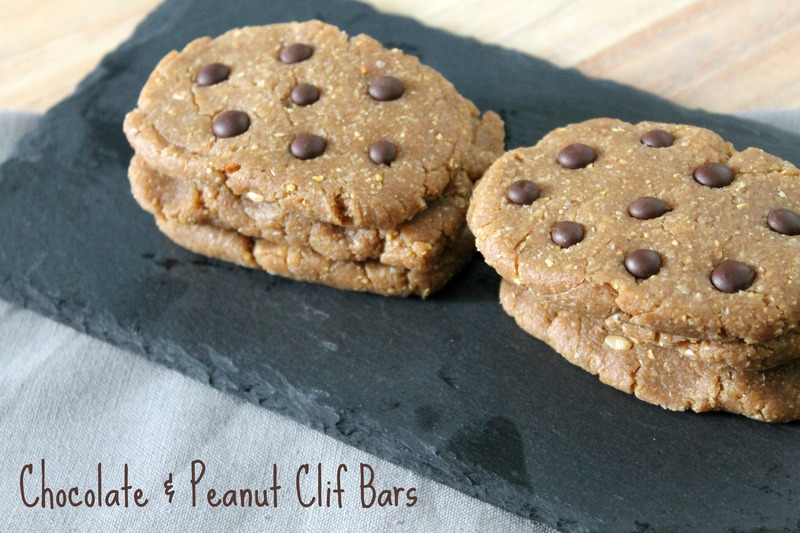 I cannot WAIT to try the recipe, I absolutely adore Cliff bar’s! Thank you so much, Katie! I love those bars, too! High time to create one myself as I don’t really get them anywhere here! Hope youn like the recipe! Mmm your homemade clif bar sounds delicious! That’s great news about the ankle. I’m so glad you’re not totally down for the count. Your eats look fantastic, especially that sandwich. 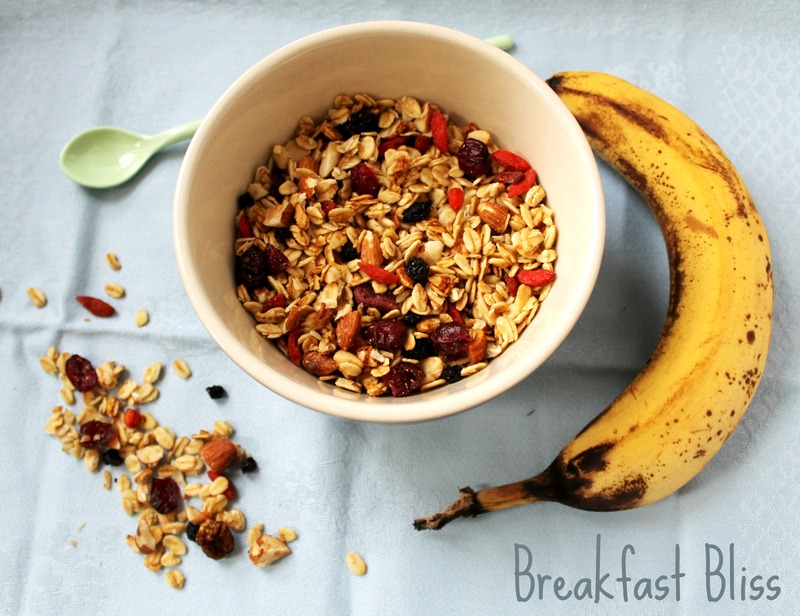 Wow, I want to swan dive right into that thing, and I’m so stoked you made the granola and really liked it. Seriously, you made my weekend when I saw that on Instagram. THANK YOU. That sandwich was so good. I will have it again soon!